Krung Thep Thai Cuisine is found in the historic downtown district of Idaho Falls – a town of just under 60,000 residents in the Southeastern Corner of Idaho. There is not a flash in this town, but there certainly are some decent restaurants, and Krung Thep is one of them. Three of us had spent the day walking all through Yellowstone National Park and by the time we made it back to Idaho Falls, we were hungry and tired. Food first, then sleep. 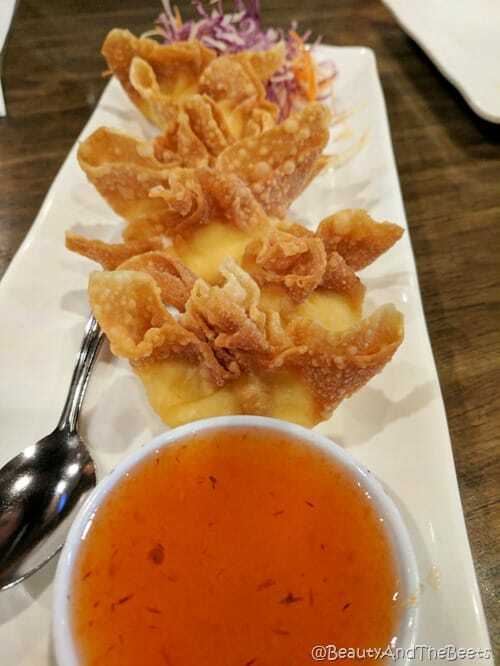 We started our meal with the Crab Ragoon appetizer. These are always my favorite in any Asian restaurant and these were very good as well. As we ordered our meals, we were asked what spice level we would like our food to be on a scale from one to five, five being the spiciest. I chose the Pad Thai for my meal, and proceeded to ask for my spice level at 2. 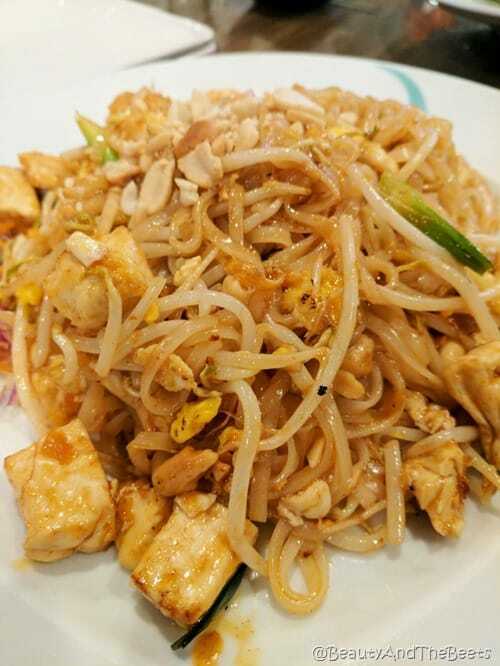 Pad Thai is fairly a sweet dish and I thought the spice would give a nice balance to the dish. Spice level two is hot. While the Pad Thai was everything I thought it would be, spice level two is hot. Fortunately it wasn’t so hot that I couldn’t eat, but it was hot. Did I mention it was hot? I really loved the combination of rice noodles with bean sprouts, lime and peanuts. 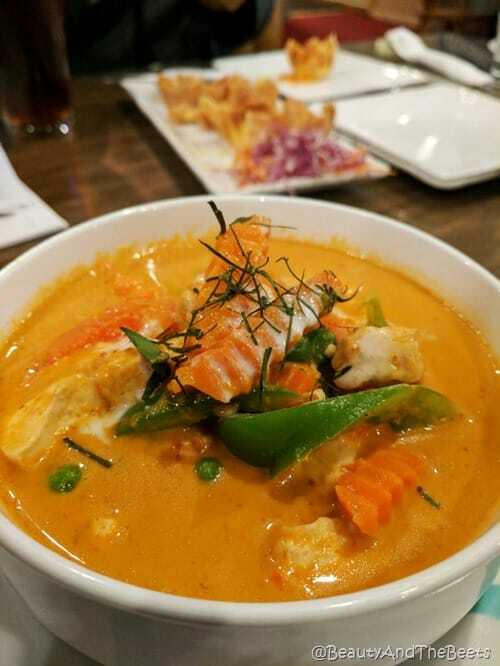 One of my travel mates ordered the yellow curry, also a spice level two, but her spice level two didn’t seem to be as hot as mine. Perhaps it was the coconut milk in her dish that toned the spice down a bit. Whatever it was, it was delicious. I have to remember not to overlook curry when I go to Thai restaurants. Mr. Beet ordered his typical go to dish- the Vegetable Fried Rice. Also a spice level of two, also a tolerable level. 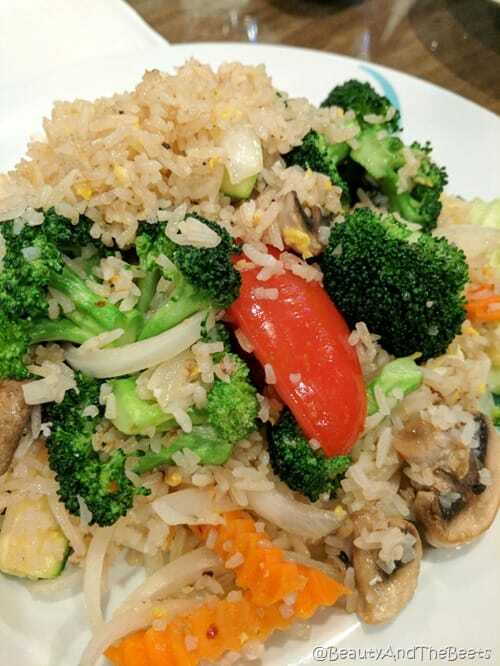 And large pieces of veggies like broccoli and peppers made a simple rice dish a hearty meal. 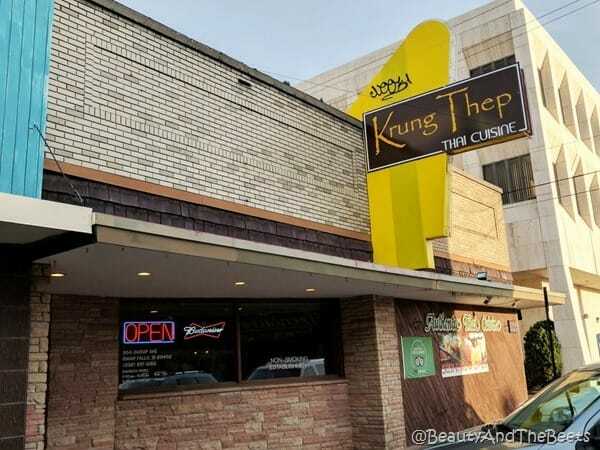 If you are looking for an authentic spot for Thai cuisine in the state of Idaho, be sure to make Krung Thep a stop on your travels. 4 1/2 out of 5 sprouts.